With more than 40 years of combined professional experience, The Motif Duo has been the ensemble of choice for event and wedding planners in the metropolitan Kansas City area since 2007. It is our track record of strong performances, helpful demeanor and customer satisfaction that has helped to keep us busy doing work that we enjoy so very much. Let The Motif Duo perform the perfect music for your special occasion. From the traditional to the unique, we are happy to explore any musical possibilities for your celebration. Enjoy personalized service with either duo partner who will help you plan your music, answer all of your questions, and perform for your special day! 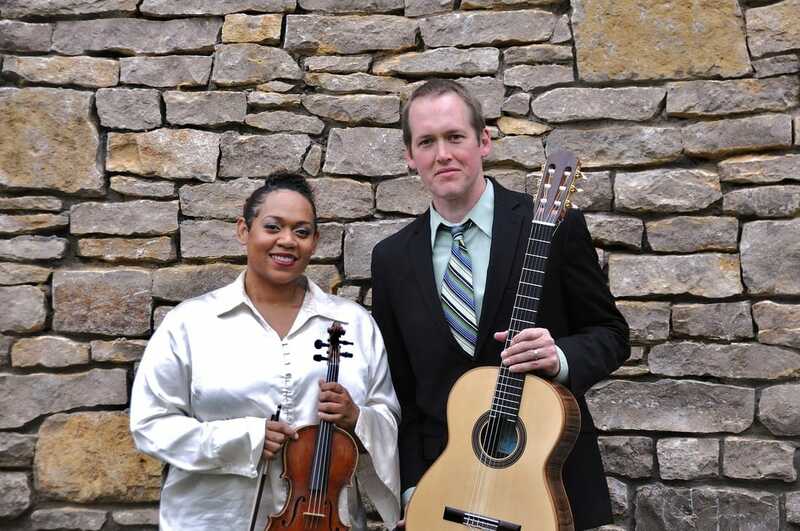 Featuring violinist Tina Bilberry and guitarist Sean Mawhirter, clients from all over the greater-Kansas City area have had their expectations met and exceeded through an assortment of pieces ranging from classical, pop, folk, jazz and more. We feel strongly that you shouldn't settle for less on your special day. We can also accompany any soloist or vocalist you may provide with the addition of a 30-minute rehearsal just prior to the prelude for an additional fee. Even though we do not attend your wedding rehearsal, we gather detailed notes from you about what is to take place at your ceremony. Just before the ceremony begins, we will confirm these with your wedding coordinator and Officiant. 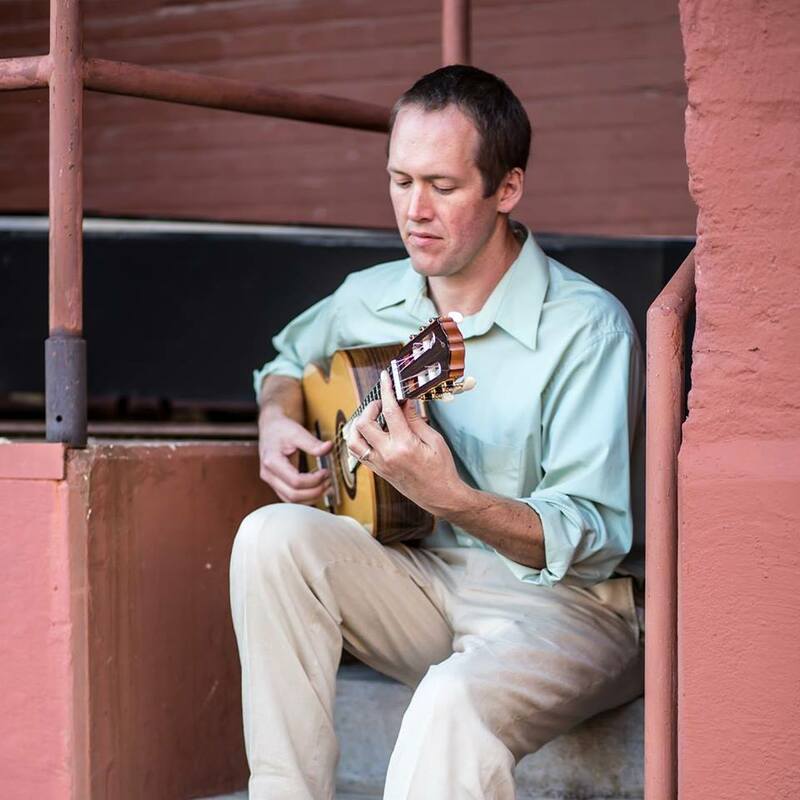 With years of experience, we think well on our feet and will provide music for your processional and recessional regardless of any changes that may have occurred at the wedding rehearsal. When do you arrive for my event? We always arrive at least 30 minutes before we are scheduled to begin in order to speak to the coordinator about cues and also to speak to the officiant to go over the ceremony details. There is no charge for this service. What time do you begin playing at my event? It is customary for us to begin 15 minutes before the time printed on the invitation, and this can be adjusted at the couples’ request. Our start and finish times will be stated on your contract. Remember we arrive at least 30 minutes before our start time in order to set up, at no charge to you. For what length of time should I hire you? 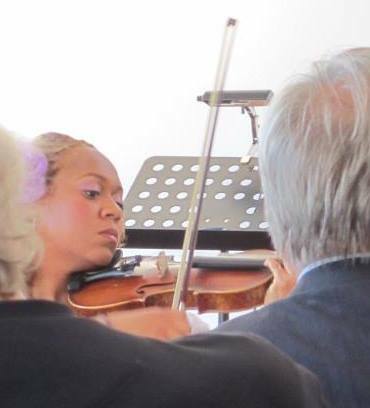 If you would like us to play for your wedding, one hour is sufficient for a simple ceremony. For a Catholic or Episcopal Mass, a minimum of 1.5 hours is necessary. Add additional time for cocktails, reception and/or dinner as we provide excellent background music. No, we accept checks or cash for the deposit or the balance. Not taking credit cards helps us keep our costs down. We have couples who book us one year in advance for the busy months of October, March and April. Call us for availability. We wear formal dress black to all occasions but are happy to field requests from the couple to accomodate their event's colors.